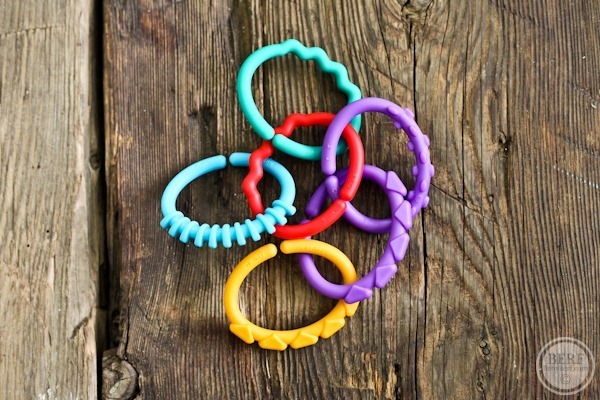 Sabrina sent us a set of these baby rings as one of her baby’s favorite toys. 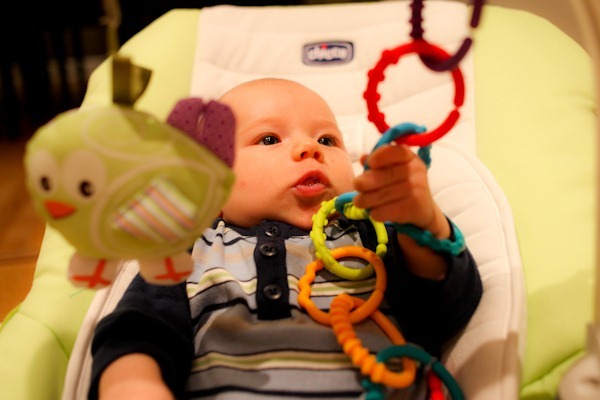 Mazen has several toys that he just loves, but these rings take the cake for being the most fun and versatile. Mazen loves to jingle them and chew on them. Two thumbs up from the baby. 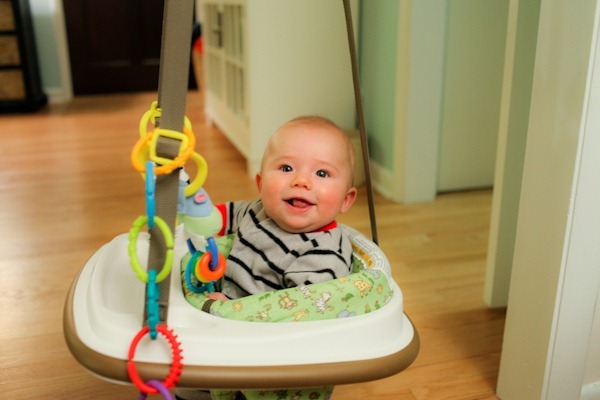 I love that you can clip them on anything – from the car seat to his baby seats to his outfit if need be. And then you can clip other toys on to that to keep them from falling on the floor!! And most of all, I love that there are so many of them that we have a few attached to everything important. Best toy ever! I just bought Edith these back in January when we bought her Go Pod and she LOVES them- I wish I had bought them earlier. my babies loved those rings! all the money we spent on toys for infants they loved the $5 rings best. fyi – bright starts brand might not be bpa free. however, sassy and most fisher price rings do claim bpa free on the package. Captain Calamari! My daughter’s favorite toy (from birth to now 10 months) :). I am so looking forward to Reed discovering his toys. That will be. Blast. Glad amazed loves his rings. Agree, the links were my sons favorite at that age! I loved how they could clip on to most things to avoid being thrown on a yucky restaurant floor or something. Totally agree! Clara is 9 months and still LOVES these chain link toys. My baby loves his as well! 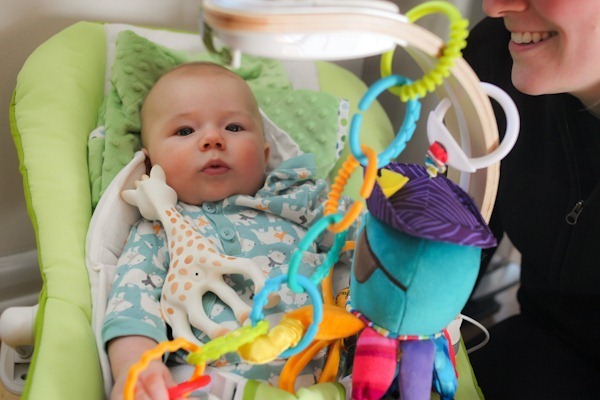 He really likes them while on the changing table, it keeps him somewhat occupied and less squirmy. I love this blog! 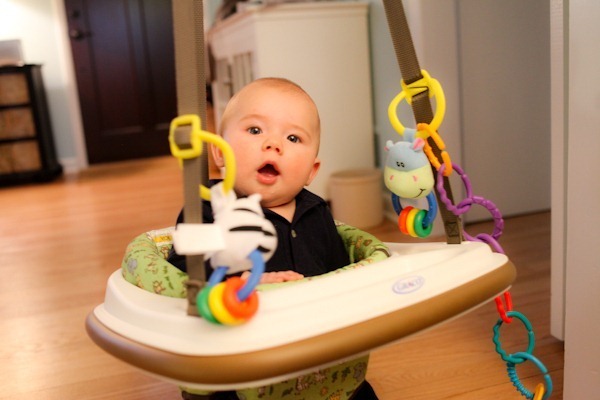 It will be my go-to resource for all things baby supplies someday! Kath you may enjoy this too, for Mazen now and later on. 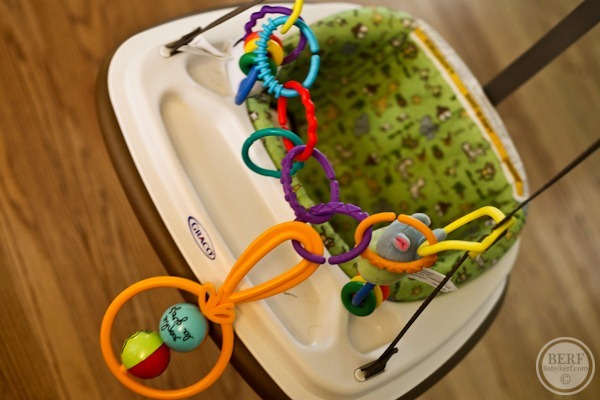 It is called the little lasso and I think all parents should own one. It is great for sippy cups, and keeping toys off the dirty floors of restaurants and doctors offices. Best of all it keeps you from having to fetch toys. I love it, and after reading this post about the links, I think Mazen might enjoy it too. Mommy will too later on when he starts to enjoy the cause and effect game of throw down and mommy pick up. Their link is http://www.thelittlelasso.com/, and best of all it is made right here in the USA. I have been reading KERF regularly for several months and just discovered BabyKERF through a link on Pinterst- love this side of Kath as well:) These rings are exactly what I have been looking for, but had no idea what they were called.